I love these Large Farmhouse Themed Custom Prints on sale for $3.87 (Retail $22). A cozy space is all about comfort filled with happyness. 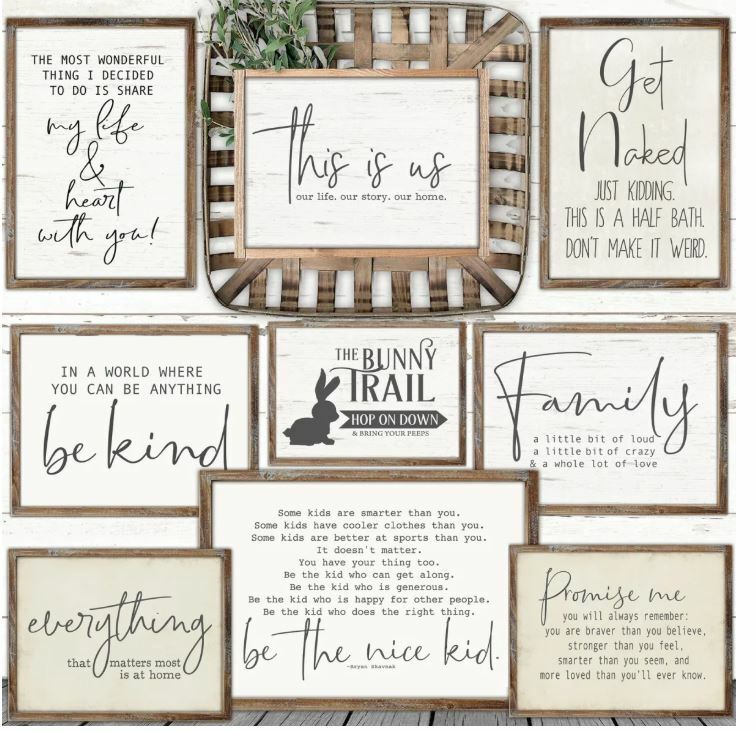 Our easy to frame rustic modern paper art prints combines modern & cozy to create your own meaningful and beautiful space. Reclaim the beauty and nostalgic simplicity of days past and transform your space any of our curated & creative modern rustic prints. *I want you to love the prints I craft for you. To that end, please help me by reading the product details, shipping method, sizes & measuring guidelines, DIY framing info and carefully reviewing the images prior to placing your order. I am making your artworks to order for you. This means these artworks by design are each intentionally unique. Thank you! Shipping is $3.67 for the first item and $0.57 for each additional item.